Warmup Electric Radiant Heating Systems is the world's best-selling Floor Heating Brand. Manufacturer of electric heating solutions for under tile, laminate and in concrete. Warmup can be used as a bathroom luxury, or to heat the whole space. Warmup is ideal for bathrooms and showers, basements, home offices and kitchens. For over two decades, Whitehaus Collection has been raising the bar by providing elegant, dynamic, finely crafted kitchen and bath fixtures which surpass industry standards, transforming those two most important rooms in the home into reflections of the homeowner’s personal style. Our original designs and imports range from the traditional to contemporary, in a broad selection of styles and finishes for sinks, faucets and accessories. Whitehaus Collection travels the globe to discover the best quality material that the world has to offer. Our designs are inspired by the art, culture and architecture of international cities-exquisitely detailed and essentially pragmatic. The result of this, of course, is the unique designs and unsurpassed quality for which Whitehaus Collection is renowned. Aesthetically pleasing and finely crafted to stand the test of time, Whitehaus Collection is renowned for offering superior products and offers a fresh alternative to those with distinguished taste. With decades of expertise, Whitehaus Collection strives toward incorporating the latest innovative technology, eco-friendly materials and water efficiency standards while sustaining the quality and durability of its products. Whitehaus Collection provides superior craftsmanship and quality in all its products. Torrco is the leading fourth-generation independent wholesale distributor of plumbing, piping, HVAC, and kitchen & bath supplies for both trade and retail customers serving Connecticut, Massachusetts & New York. Torrco Design Center is Connecticut’s leading kitchen and bath designer and supplier. Trusted by over 5,000 industry professionals and countless homeowners, "You Decide And It’s Done” is the Torrco mission to get your project done on time, in full and error free. The materials available for kitchens and baths have never been greater, and we’re able to choose among the leading lines to find the best match for our customers’ vision. Our knowledgeable design professionals will guide customers every step of the way, offering practical and beautiful solutions to meet every budget and managing the purchasing and installation process if needed. Let the Torrco design consultants become an extension of your salesforce, by helping you and your customers better understand, and decide upon, the many options within any in-home design challenge. The Torrco Design Center team can assess your kitchen or bath, develop a floor plan and make product recommendations. Have a group of expert assistants on your next job – and every job – to make any idea and any budget work. Established in 1921, White's Plumbing Supplies offers a wide selection of bathroom and kitchen products. 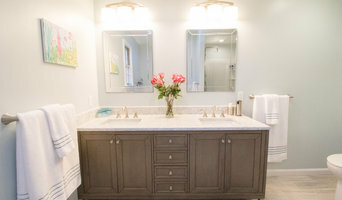 We provide a range of sinks, vanity cabinets, mirrors, towel bars, shower doors, and more. We also provide repair and plumbing services, to which our trained staff of certified professionals would be happy to help. Competitive Kitchen Designs has professional kitchen and bath designers who will plan you kitchen design, sell the cabinets and countertops and hardware to you and make sure you have an experienced contractor to work with you if you need one. Waterworks is the leading luxury brand for the bath and kitchen with a product assortment that offers the complete experience from faucets and tubs to towels and apothecary. Founded in 1978 by Barbara and Robert Sallick, Waterworks has revolutionized the American home. Inspired by the rich history of the European bath, Waterworks has brought impeccable style and artisanal quality craftsmanship to what had often been an overlooked and under-served area of the home. Every fitting, fixture, surface and accessory meets uncompromising standards for quality craftsmanship—proving that functionality and aesthetics go hand-in-hand. Rutt Studio of Westport is a family owned and operated showroom specializing in fine custom cabinetry. We will design your space and oversee your project from the early concept stage, through installation. First Class Marble & Granite, Inc.
Use the Houzz Professionals listings to find Windsor, CT kitchen and bath accessory vendors. Don’t rule out asking a kitchen manufacturer’s design team for help, too. Skills often can be overlapped to save you time and money! Here are some related professionals and vendors to complement the work of kitchen & bath fixtures: Kitchen & Bath Designers, Kitchen & Bath Remodelers, Interior Designers & Decorators, Cabinets & Cabinetry. Find kitchen and bath fixtures and accessories, plus installation experts, on Houzz. 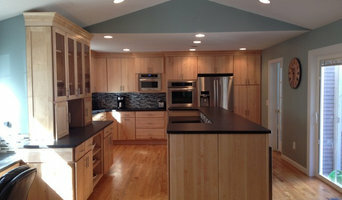 Check out Connecticut kitchen products and installers, and bath plumbing products and installers, on Houzz. 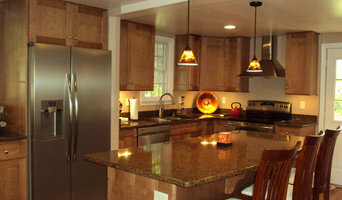 You can also look through project photos provided by Windsor, CT renovators, retailers and designers.